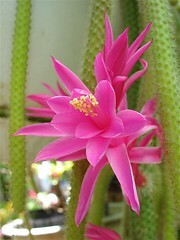 Some of our cactus are starting to bloom. The photo on the left is one of my Mom’s hanging cactus (I don’t know what kind it is). 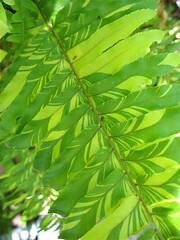 On the right, is the foliage of a Tiger Fern, which is a gift I gave my Mom for Mother’s Day. This entry was posted in Uncategorized and tagged cactus, fern tiger, succulents. Bookmark the permalink.